Do you need an eye test at home? 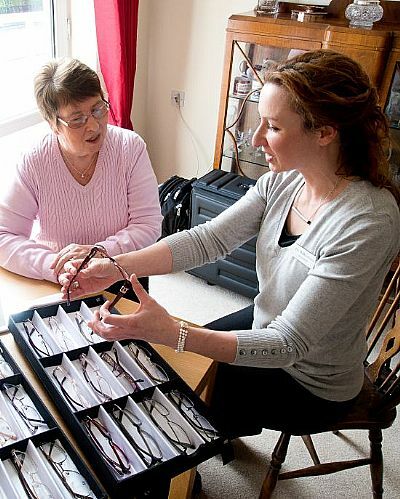 McBay Mobile Opticians provides free NHS eye examinations and glasses in the comfort of your own home. My name is Ann McBay and I am a home visiting optometrist. If you are unable to leave your home for an eye test, then I can help. Effective vision care can improve your quality of life, whatever your situation. Thank you for visiting my site and if you have any query about your eye sight or if I can help in any way please contact me. Providing home eye tests throughout Glasgow, Inverclyde, Renfrewshire, East and West Dunbartonshire.